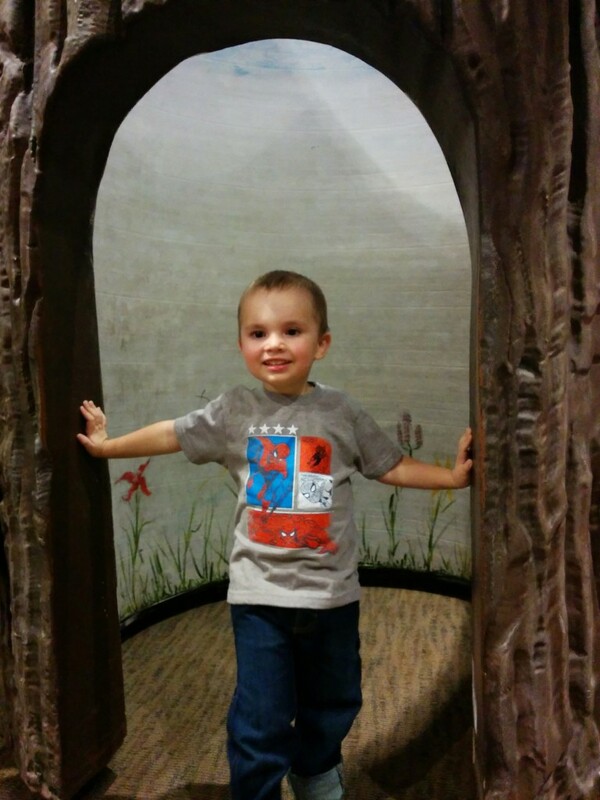 Weekly Happenings: As a family, we didn’t do too much out of the ordinary last week. 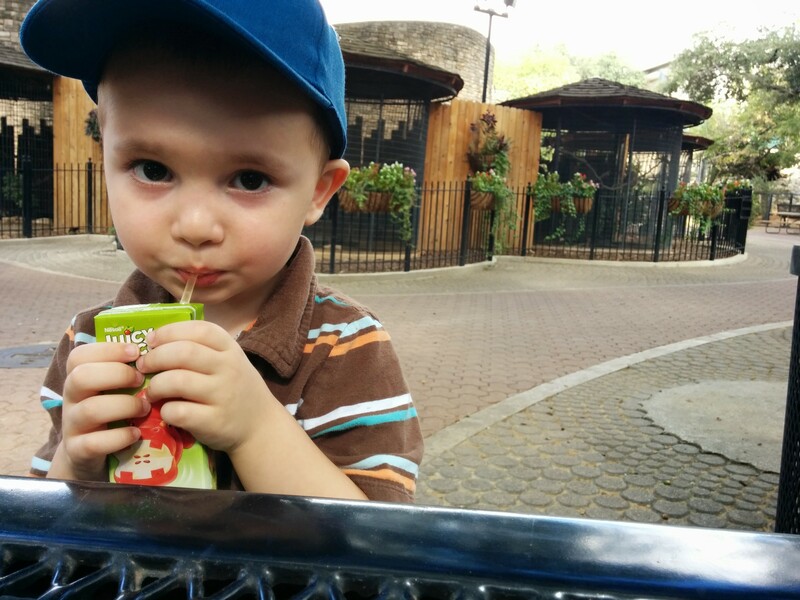 We did take advantage of the coolish weather and took a trip to the zoo on Saturday morning. It’s so nice to go during the “off season” because even on the weekend, it’s way less busy than in the summer. The Weekly Weather: We’ve officially hit San Antonio fall weather: low- to mid-80s for the most part with a few 70s days and a few 90s days. What Paul’s Been Up To: Paul had last Monday off, so he spent the majority of the day painting the chairs for our dining room. They look so good! He also painted the napkin holder I have so that it matches the chairs. Other than that, it was pretty much an average week for him with work and school. What Sarah’s Been Up To: The only real thing of note was that I hosted my first piano recital. It wasn’t very long, since I only have 8 students (7 of which were performing) and they are all beginners, which means shorter pieces. Paul helped my set up the living room for all the family members (we borrowed some chairs from a friend) and I served refreshments afterward. Paul took Joseph to the park so that he wouldn’t want to socialize with everyone. It went really well. 🙂 I also did one Messiah rehearsal and decided that it’s going to be too much for my already full plate, so I asked them if they would be able to find another pianist. They said it would not be an issue, so I can breathe a bit more. What Joseph’s Been Up To: Cuteness as usual. 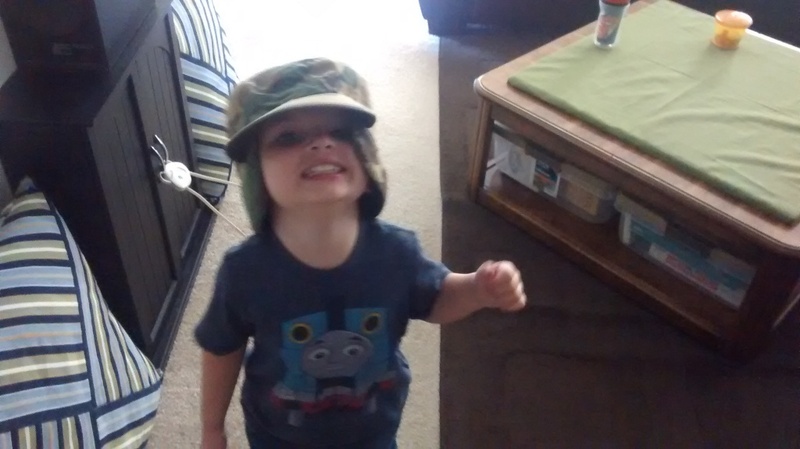 He loves to sing along to songs on the radio, or on the TV, or when I’m singing (though he will sometimes tell me to stop, lol). His favorite songs right now are what he calls “Grandma’s song” (My little baby doesn’t want to go to sleep) and “Grandpa’s song” (the song my dad used to hum as he bounced Joseph on his knee; it originally came from my mom’s dad). 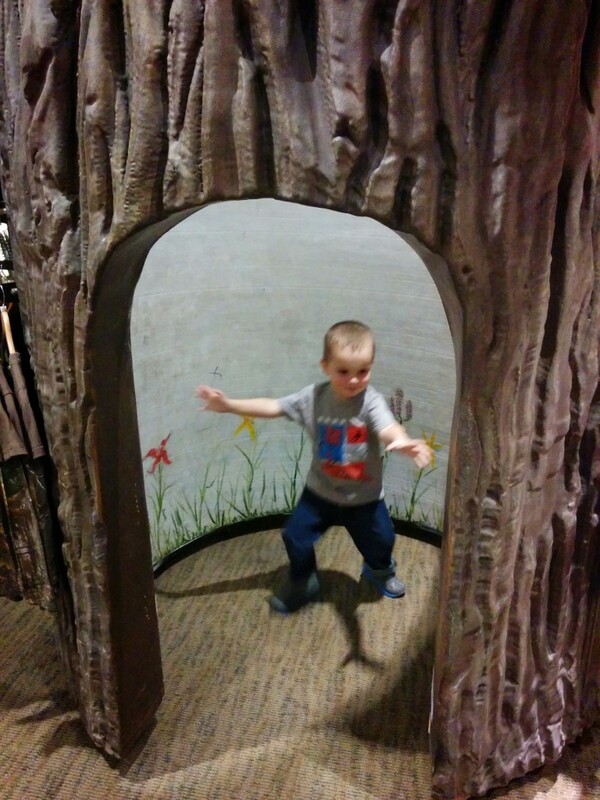 He’s also been really into Spiderman, pretending to shoot webs at us. 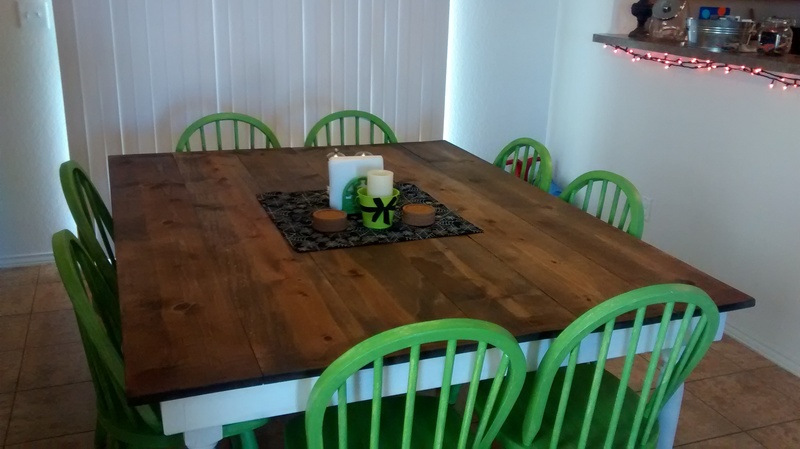 Our table and newly painted chairs. Paul still plans on doing another coat of stain/sealer on the table just to make sure that it’s really water-resistant. 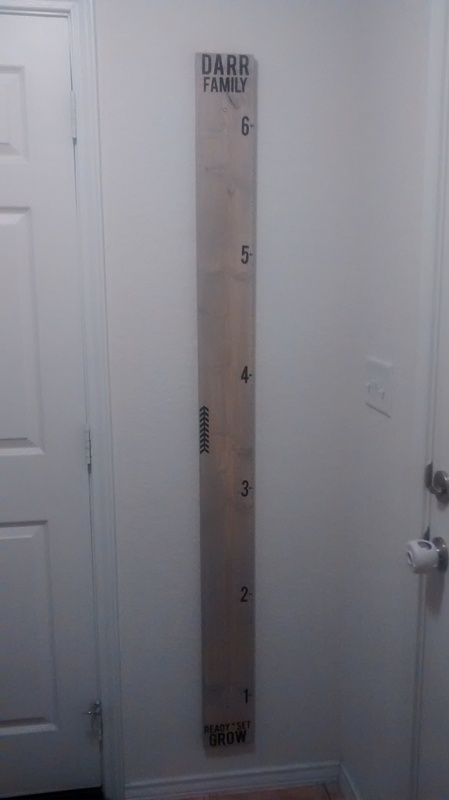 Here’s a picture of the growth ruler that I made at Super Saturday. Paul was able to put it up on the wall this past week. 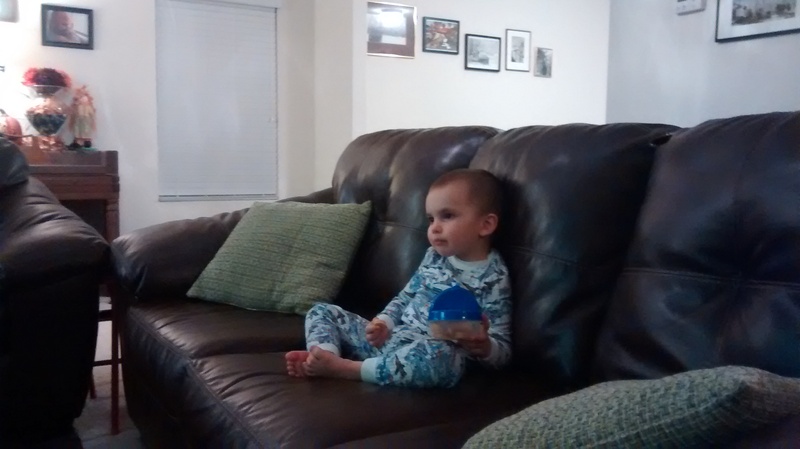 Chomping on cheese Ritz Bits while watching a show right before bed. 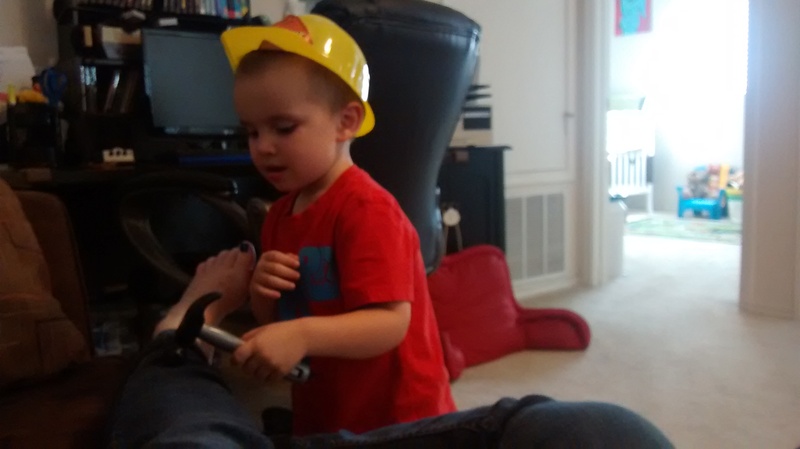 He was pretending my leg needed fixin’. 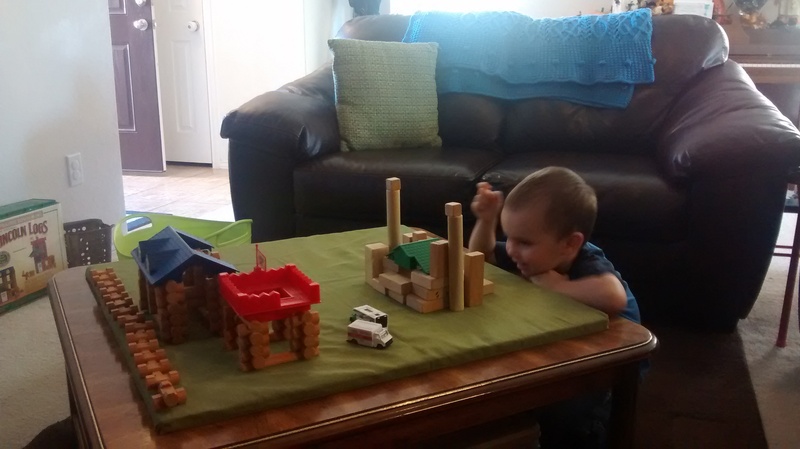 Our friends were getting rid of their Lincoln Logs, so we took them off their hands. Joseph was pretty happy. 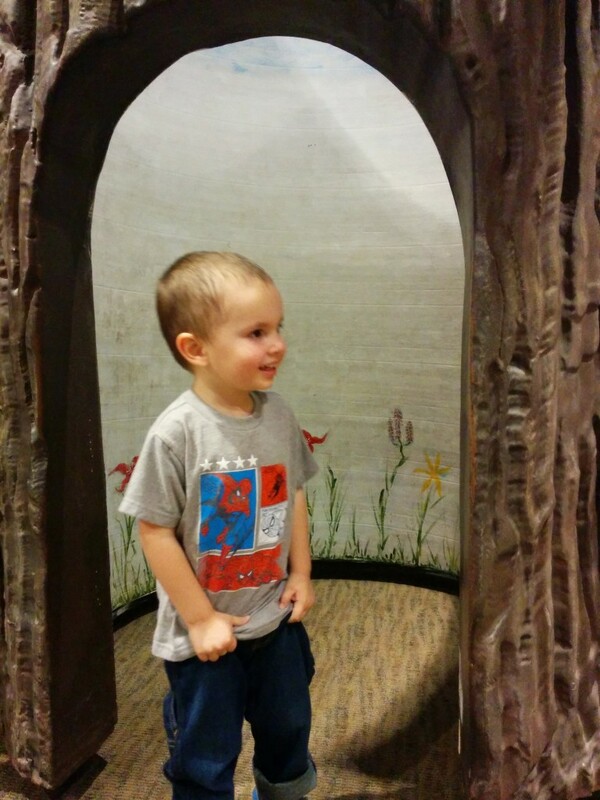 We took a trip to Outdoor World/Bass Pro Shops and they had this large fake tree trunk. Joseph had fun playing in it. He loved that it was just his size. He did not want to leave. Hangin’ out at the zoo. 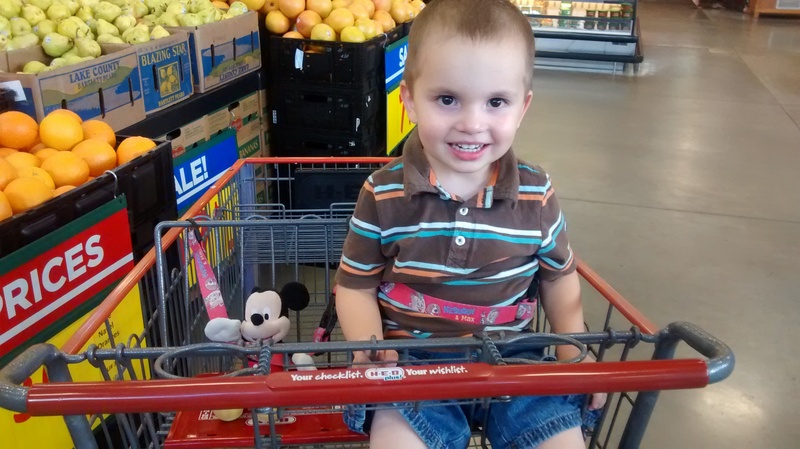 He insisted that Mickey be strapped in for safety.